THE SKY I SCRAPE: Free Ames Brothers Poster? 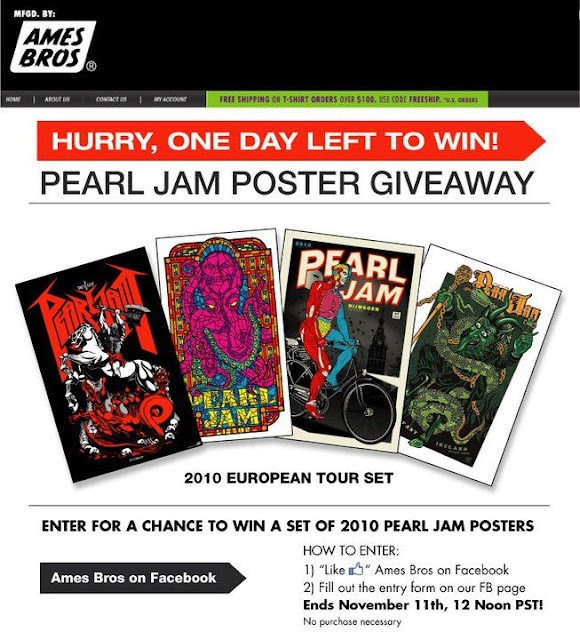 Ames Brothers are giving away free Pearl Jam posters. Head to their Facebook page and look under the "Sweepstakes" tab to enter.